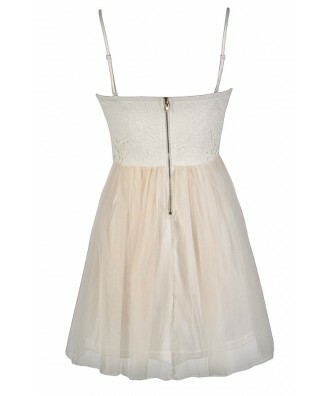 You have added Bella Ballerina Ivory and Cream Tulle Dress into shopping cart. Even though you may never get to be a prima ballerina, you can still look the part in this girly and whimsical ivory and cream tulle party dress. 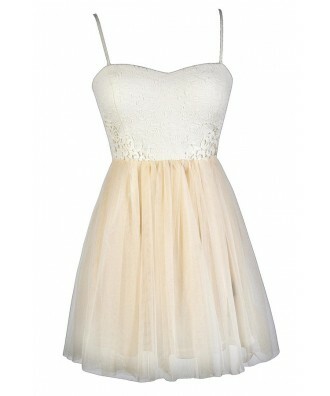 The Bella Ballerina Ivory and Cream Tulle Dress is fully lined. 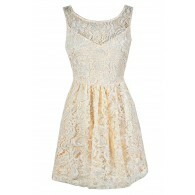 The top is made of a textured ivory fabric. A crochet applique decorates each side and adds texture. The sweetheart neckline and lightly padded bust combine to create a figure-flattering shape. Adjustable and removable spaghetti straps are included with this dress so that you can decide whether you want to wear it with or without straps. The empire waist gives way to the cream dual layered tulle skirt. An exposed back zipper completes this dress. 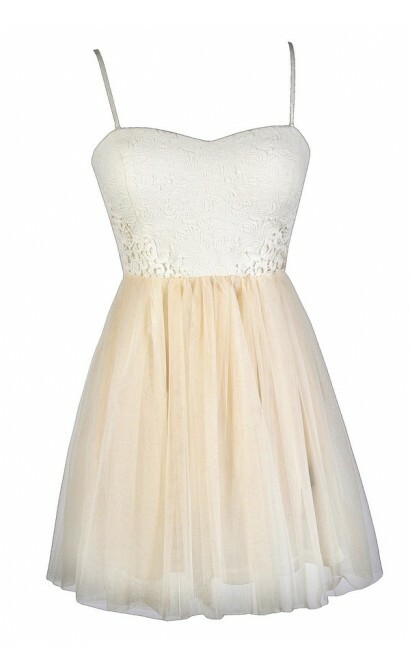 The Bella Ballerina Ivory and Cream Tulle Dress would make a cute rehearsal dinner dress or bridal shower dress. You could also wear this to any upcoming party or semi-formal event. This is a lovely and whimsical dress with a ballerina-inspired touch. Details: Fully lined. Exposed back zipper. Adjustable and removable spaghetti straps included. Lightly padded bust. 95% polyester, 5% spandex. Contrast: 100% nylon. Lining: 100% polyester. Dry clean only. Small measurements: Length from top of bust to hemline: 25". Bust: 32". 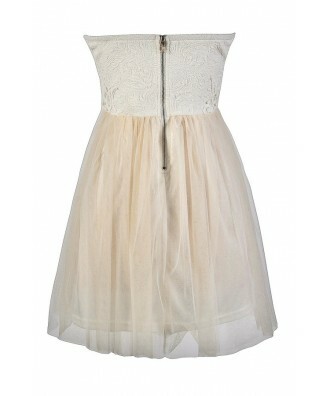 You have added Bella Ballerina Ivory and Cream Tulle Dress into Wishlist. 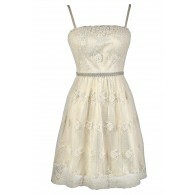 You have added Bella Ballerina Ivory and Cream Tulle Dress for Stock Notification. 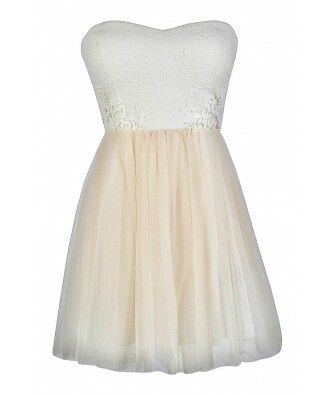 You have set Bella Ballerina Ivory and Cream Tulle Dress as a loved product. 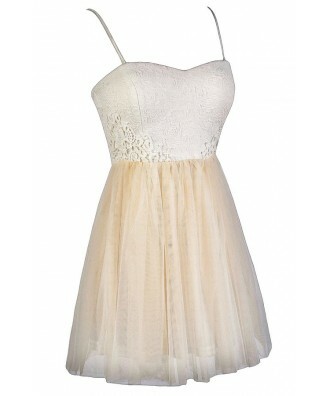 You have removed Bella Ballerina Ivory and Cream Tulle Dress as a loved product.